Is China Mobilizing For A War With Japan? 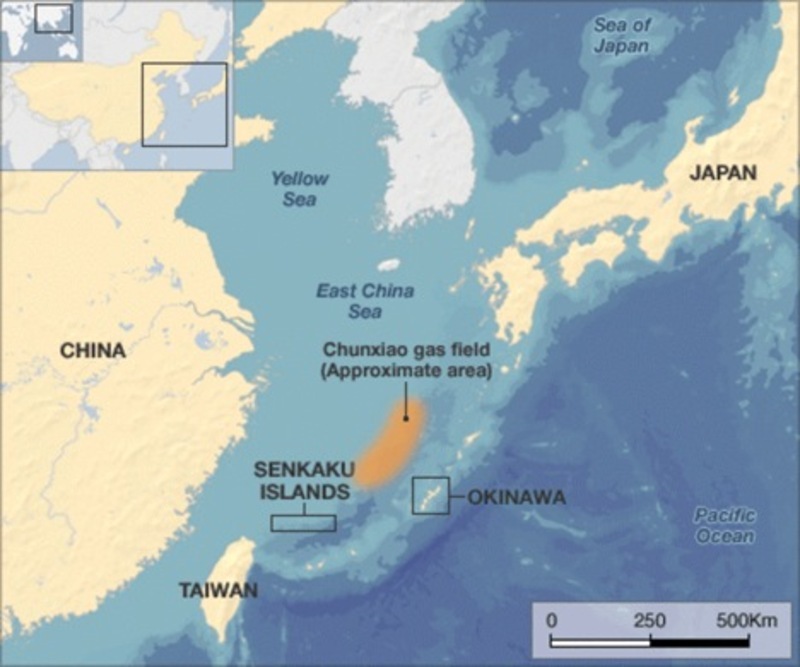 We don't know if it merely a coincidence that a story has emerged discussing a Chinese mobilization in response to the ongoing territorial feud with Japan over the Diaoyu/Senkaku islands (and the proximal massive gas field) the very week that China celebrates its new year (and days after news that a Chinese warship was very close to firing on a Japanese destroyer). We don't know how much of the story is based in reality, and how much may be propaganda or furthering someone's agenda. What we do know is that the source of the story: offshore-based, Falun Gong-affiliated NTDTV has historically been a credible source of information that the China communist party desperately tries to censor, such as breaking the news of the SARS epidemic in 2003 some three weeks before China publicly admitted it. Its motto is "to bring truthful and uncensored information into and out of China." If that is indeed the case, and its story of major troop movements and mobilization of various types of military vehicles and artillery into the Fujian and Zhejian provinces, bordering the East China Sea and closest to the Diaoyu islands, is accurate, then hostilities between China and Japan may be about to take a major turn for the worse. The clip that NTDTV released late yesterday covering the news is presented below. As for the accompanying commentary, we recreate it below in its entirety so nothing is lost in translation (original source). NTDTV February 8, 2013 News - the continental network transmission, Fujian and Zhejiang troops for several days active. Plus before the news that Chinese warships radar has repeatedly aimed at the Japanese ships and planes, therefore, the media have speculated that China may "prepare for war" Diaoyu Islands . According to friends broke the news: February 3, Nan'an, Fujian Highway 308, artillery units practical exercise for several days. According to mainland media quoted the "People's Daily" front-page article claiming that China will not change in point of view on the issue of the Diaoyu Islands , and have to prepare to win the war. If the engine assembled, will greatly enhance China's military power. According to military experts, the Sino-Japanese war in the Diaoyu Islands, Fujian and Zhejiang provinces, is the most important logistical base. If the war to expand, at any time, will spread to the provinces of Fujian, Zhejiang.